Purity: Greater than 95% as determined by SDS-PAGE. General Description of Recombinant Human PSPN Protein (Animal Free). 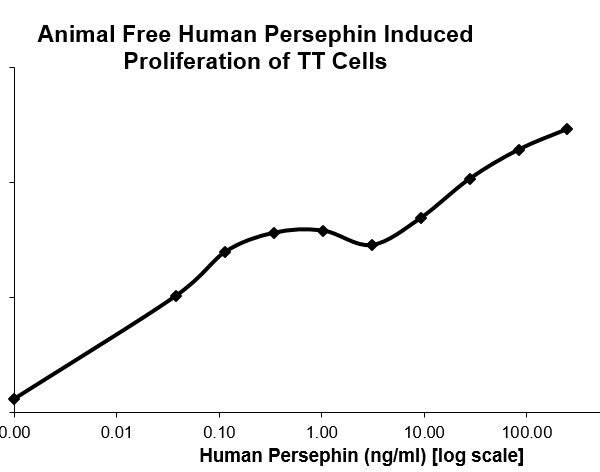 Persephin (PSP) is a neurotrophic factor of the glial cell line-derived neurotrophic factor (GDNF) family. PSP promotes survival and growth of dopaminergic and motor neurons, but not peripheral neurons. PSP is a ligand for the RET receptor tyrosine kinase. Host: QP5383 protein expressed in E. coli. Application Notes: Please contact us for application specific information for QP5383. Bioactivity Data: T cell proliferation significantly induced by less than 20 ng/ml (minimum activity of 5.0 x 10^4 units/mg). 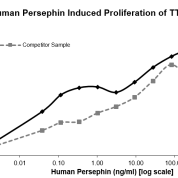 Concentration of Human PSPN Protein: Lyophilized. Concentration determined by reconstitution volume. Endotoxin Levels: Less than or equal to 1.00 EUs/ug as determined by the LAL method. Storage Conditions: Store at -20C to -80C lyophilized. 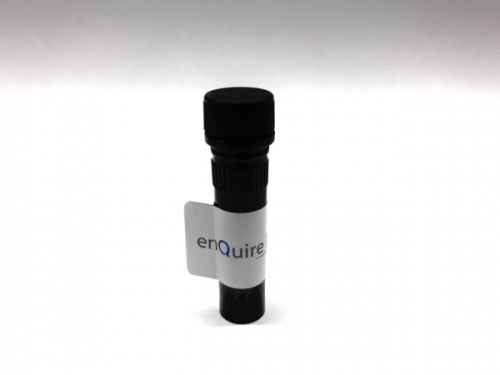 Guaranteed for 1 year at -80C reconstituted and 3 months at 4C reconstituted.